The MSP Evolution: What’s Next? Are MSPs ready for the transition to becoming a total service provider, a true strategic partner? Looking back at the MSP industry can potentially teach us a lot about the future. The shift from VAR to providing professional services and now managed services has taken many years. Aside from some advances in tool sets, Microsoft Office 365, more connected devices and increasing security needs, the MSP today doesn’t look very different from the MSP of the early 2000s. MSPs then already offered server, computer, network monitoring, patching, audiovisual, virtual CIOs, local, cloud backup, IaaS, DaaS, hosted Microsoft Exchange and more. I can’t shake the feeling that even with the continued, consistent growth in our industry, MSPs are missing out on the next evolution. Jim Lippie of Kaseya coined the term “total service provider” back in 2014. “The MSP of the future isn’t an MSP at all,” Lippie said. “It’s a TSP: a total service provider, a provider that not only delivers functionality, but also provides valuable information to enable better business decisions.” (Disclaimer: I have worked with Jim off and on since 2007, most recently acquiring Clarity Groups from him in 2017.) If MSPs are missing out on a next step in their evolution, I think this might be it, becoming a TSP, a true strategic partner. To evolve to a TSP, MSPs need to expand their portfolio by offering services that touch traditional IT, but go beyond the current status quo, capture additional revenue and provide more value. Taking a look at Channel Futures’ own data gathered from the 501 list shows us finding new leads is difficult, with most opting to spend time networking and asking for referrals. What if, instead of just asking for referrals, MSPs begin asking customers to buy services they need or already use from their technology provider? The growth of our industry has paved the way to numerous partner programs, making it easier than ever to deliver additional technology without becoming a jack of all trades, but master of none. I met Thryv, which recently launched a MSP channel program, at Channel Partners Evolution in Philadelphia a few weeks ago. Services like this are sought after by SMBs, but in most cases SMBs are their own in figuring out how to use them. Imagine the impact to your clients by streamlining the way they engage with their customers and make money. MSPs already are managing the underlying infrastructure required to use so many solutions. By leveraging the right partnerships, they can better control the overall technology experience while allowing a partner to handle the bulk of the implementation and support. Offering these services allows an MSP to be so much more than a line item cost center by offering the complete technology guidance SMBs want from their IT department. I spoke recently with Fred Hughes at Phoenix Technology Solutions in Arizona, who started working with The Wiser Agency earlier this year, to offer Facebook marketing to his managed clients and get them more appointments. Fred started with some of his dental customers and was able to increase the number of new patients they were seeing, YTD, by 56 percent! Fred effectively transitioned his relationship from a traditional MSP to a TSP, or true strategic partner, not by becoming an expert in Facebook marketing, but by aligning himself with a partner to drive revenue for his clients. Another example is the well-known The 20, led by Tim Conkle, which is a best-in-class group of like-minded MSPs that collectively exists to dominate the top 20 percent of the market. They recently launched a partnership for their MSP members to broaden the services they provide by now including printer and copier services. The advantages are huge for both the MSP and the end customer. Printer and copier tickets can be a major challenge, especially with multiple vendors involved. By consolidating these services with the company that already manages your technology stack, tickets get resolved faster and the client experiences less downtime. Not to mention the additional money coming in that the customer was going to spend anyway and keeping copier companies (who are offering more and more managed services) out of the account. Even great MSPs can be viewed as a cost center at times. The value proposition really changes when providing specific examples of how your MSP not only keeps everything up, running, secured and backed up, but has increased the number of new clients for that medical, CPA or law office. These other services allow MSPs to help make their client money, consolidate vendors and drive additional revenue and profits, without sacrificing what got them there in the first place. This not only makes existing client relationships stickier, but provides more avenues to get your foot in the door of new accounts and separates you from competition. The next evolution might be less dramatic than moving from blocks of hours to all-you-can-eat pricing, but the total service provider will have a bigger impact on how clients do business and the relationships they have with their outsourced IT department. 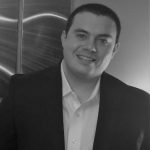 Will Ominsky is the cloud sales manager at US Signal, an end-to-end IT solutions provider. Previously, Ominsky was the managing director at Clarity Channel Advisory Group. In addition, he has held positions at itopia.US and IndependenceIT. Follow Ominsky on LinkedIn.